Twelve-year-old Farouk Buyinza wants to be the Prime Minister of Uganda when he grows up. 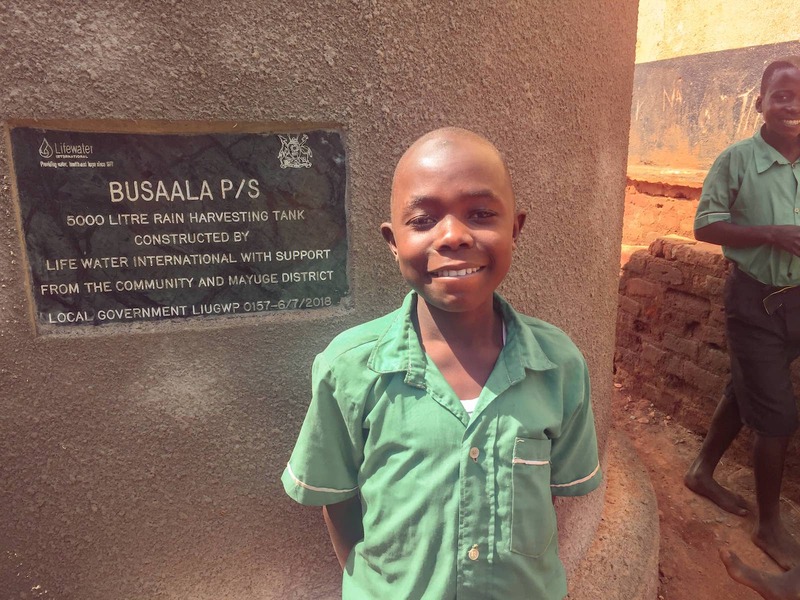 Farouk is on Busaala Primary School’s “WASH Club” and one of two top student leaders. WASH club members are leaders dedicated to practicing five healthy habits that help prevent the spread of disease and missed school days, and they share these practices with their peers through songs, dramas, and dances. Farouk is proud of his school’s new rainwater harvesting tanks. Farouk is smaller than his friends, younger than many, but he is a natural leader. His laugh rings out among the rest, and in a subtle way, his decisions guide others. After school, Farouk speaks to every home in his village and encourages them to practice five hygiene and sanitation practices that save lives around the world. Preliminary results and qualitative research from the same curriculum taught in households over the last two years are showing that families are not only healthier, but increasingly wealthier as they practice healthy habits and save on medical costs. In rural, hard-to-reach corners of the globe, the poorest families are experiencing a transformation because of simple health practices like those Farouk is teaching in Uganda. Farouk and his friends wash their hands at the permanent hand washing station. 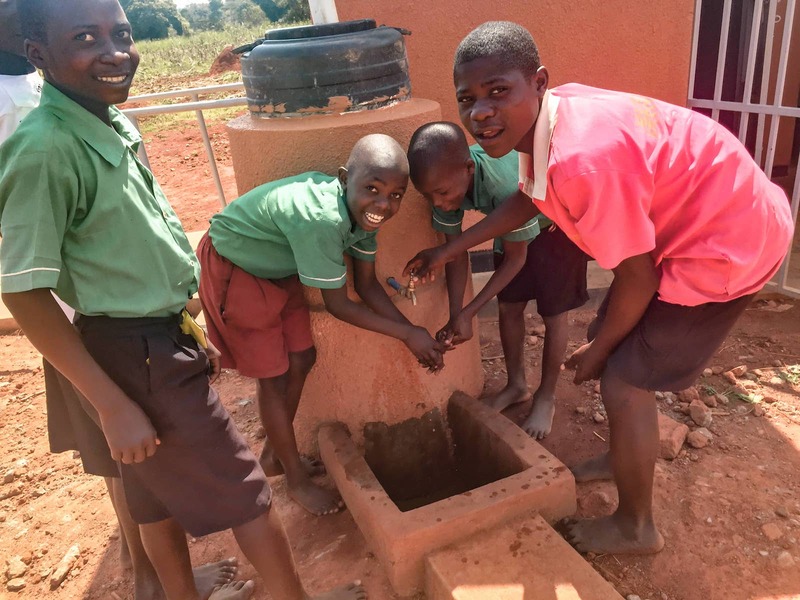 Before Lifewater and Busaala Primary School partnered to build handicap-accessible bathrooms, a permanent handwashing station, and a safe well at Farouk’s school, students traveled a dangerous road and dodged speeding vehicles to get to a crowded well at a clinic. Sometimes, they drank from a pond closer by. Before Lifewater donors supported Busaala Primary, Farouk fell ill from drinking contaminated water. He returned to school a week later determined to support WASH (water access, sanitation, and hygiene) initiatives. Safe water is foundational for every type of development—economic, social, and educational. It frees people from waterborne illnesses that inhibit work, costs communities in health clinic fees, and prevents children from attending school. It is essential to stepping out of poverty. Farouk’s school now has rainwater harvesting tanks and a safe water well on the premises. Farouk drinks safe water from the school well. Because of generous Lifewater donors, every student has a safe place to use the bathroom. “We have a new bathroom that was given to girls because they have washing places that help them especially during their menstrual periods,” he said. Construction is underway for the boys bathroom. Safe water makes it possible for girls and boys in extremely poor communities to receive an education and pursue their every dream. 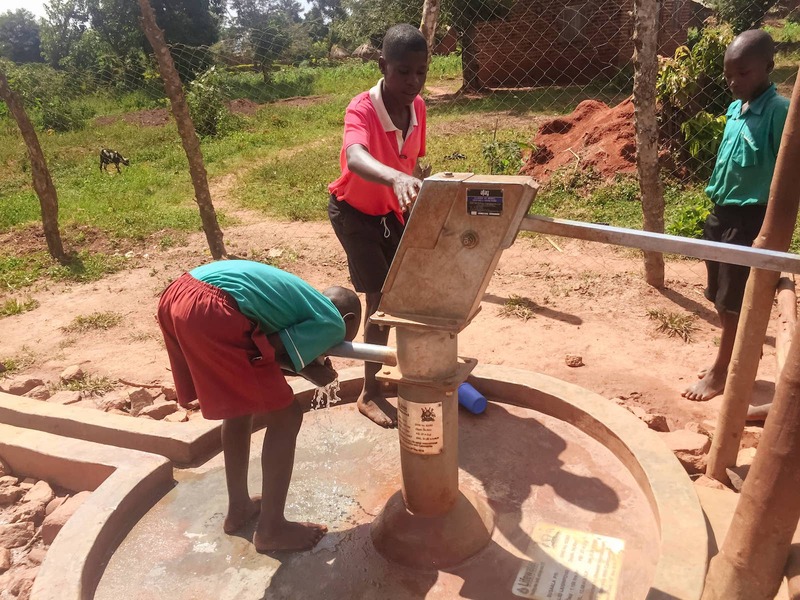 For Farouk, access to safe water means he has an opportunity to finish primary school and go onto secondary, an uncommon accomplishment for children in water-poor villages. It means that if he wants, he can live healthy, work, and go to university to become Uganda’s Prime Minister. Safe water gives children in the margins of society a chance to make their dreams a reality.